Paducah is proud of its dozens of monuments and memorials that honor veterans and other aspects of local history. The World War II, Korean War, Vietnam War, and Global War on Terrorism memorials are located at Dolly McNutt Memorial Plaza located at 301 South 5th Street. Visit Monuments and Memorials for a list of the various markers in Paducah. Visit Paducah's thriving riverfront and take a self-guided tour of the Paducah Wall to Wall Murals along the concrete floodwall in downtown. These works of art depict Paducah's rich history in more than 50 life-sized panoramic murals by renowned artist Robert Dafford and the Dafford Murals Team. Informational plaques are associated with each mural providing additional details about Paducah's history. Paducah offers eight museum locations. Several of them provide information about the region's history. For more information about each museum, visit Museums. The McCracken County Public Library, located at 555 Washington Street in downtown Paducah, offers a Local and Family History room on the first floor. The collection focuses on Kentucky, the Jackson Purchase region, surrounding counties, and states which relate to Kentucky migration, including Virginia, Tennessee, North Carolina, South Carolina, Pennsylvania, Maryland, and Illinois. 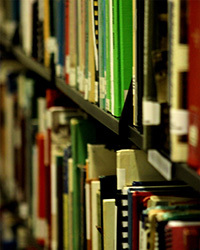 Other research materials include online database subscriptions, microfilm, microfiche, CDs, periodicals, journals, subject and family files, photographs, and archives. The McCracken County Genealogical-Historical Society collection is housed at the library. Oak Grove Cemetery, located at 1613 Park Avenue, is owned by the City of Paducah. It was established in 1847. Visit Oak Grove Cemetery online for a database of burials that can be searched by last name. To read a short summary of Paducah's history, visit History of Paducah. For additional information visit one of Paducah's Museums.